For a side like England, after annihilating Sri Lanka in subcontinent, this result was the last thing anyone would've expected. Anyone who must’ve predicted this kind of a result in favour of the Windies surely must be a millionaire by now. The gentleman’s game never fails to amaze us and on occasions, it takes the audience by a flabbergasting surprise which catches the attention of all cricket lovers all across the globe. 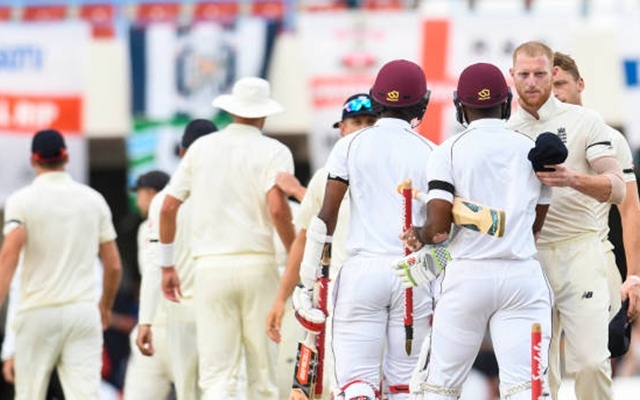 Windies – Once the mighty powerhouse of world cricket who have crestfallen in the last decade, are finally regaining some old ardor with two dominant displays over one of the strongest and most confident units in the world. For a side like England, after annihilating Sri Lanka in the subcontinent, this result was the last thing anyone would’ve expected. After going 2-0 down in the most horrible way possible, there’s not a lot left for the visiting side to earn in the Test series. They can make the numbers look decent if they win this game, but that definitely will not cover up for what a horror series this one has been for them. The hosts seem happy with the current combination and not many changes are expected. Alzarri Joseph, who recently lost his mother, might not get a game considering St. Lucia’s track record of assisting quick bowlers. Apart from that, Roach and Shannon Gabriel will be continuing as usual. In the batting department, Kraigg Brathwaite will open alongside John Campbell with Shai Hope coming in at number 3. Roston Chase and Shimron Hetmyer will be eager to finish the series on a good note and following them in the lower middle order would be Shane Dowrich. Jason Holder is set to miss this game as ICC suspended him for slow-over rate offence and Keemo Paul will replace him. Kraigg Brathwaite (c), John Campbell, Shai Hope, Darren Bravo, Roston Chase, Shimron Hetmyer, Shane Dowrich (wk), Kemar Roach, Keemo Paul, Oshane Thomas, Shannon Gabriel. Not a lot of good options are available for England on the bench, which makes it almost certain that they won’t change their setup. Rory Burns and Joe Denly will be opening the innings, with Jonny Bairstow coming in at number three. Ben Stokes, Jos Buttler and Moeen Ali will constitute the middle order. The ever-green pair of James Anderson and Stuart Broad will continue with Sam Curran being the other option. It will be interesting to see if Moeen Ali will continue considering how the pitch might play, but since the bench doesn’t look very good, he might get a game. Rory Burns, Joe Denly, Jonny Bairstow, Joe Root (C), Ben Stokes, Jos Buttler, Moeen Ali, Ben Foakes (wk), Sam Curran/Mark Wood, Stuart Broad, James Anderson. His batting style is very much reminiscent of the legendary Brian Lara, but not his statistics. He definitely has the required skill to be a top Test player, but inconsistency has been the main feature of his game. The southpaw will be eager to finish this memorable series on a high with a blazing knock. It has been a horrible outing for skipper Joe Root and in this game, the focus will be on him for not being up to his standards. It is pretty rare for a player of his quality to fail so badly, but he definitely has the tendency to bounce back. The skipper has very little motivation going into the final Test, but he’ll try and ensure they won’t go 3-0 down. 1986- England were whitewashed in the Carribean nation back in 33 years ago in 1986 and the hosts will be eager to do the same again.